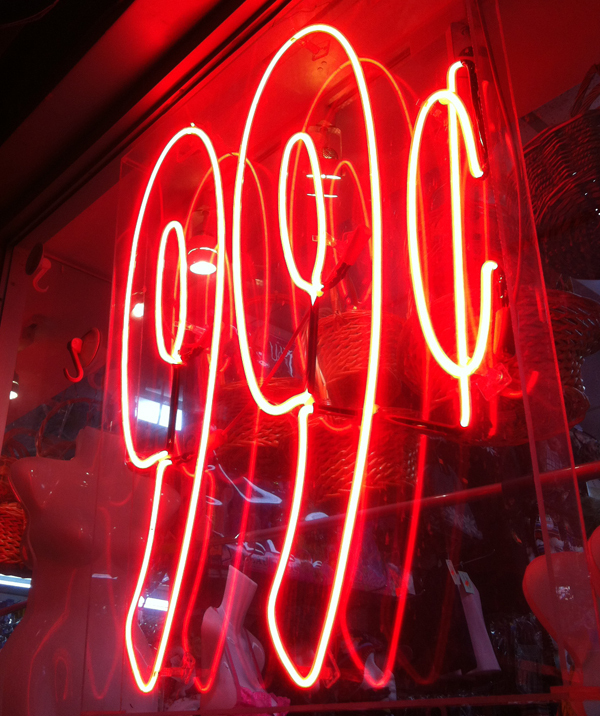 The problem with 99¢ Stores these days is that hardly anything costs 99¢ anymore. 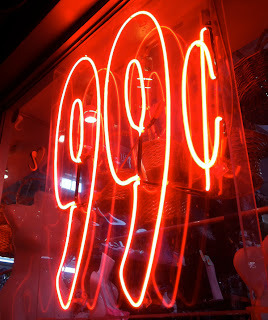 As it says in the photo below, everything costs 99¢ or more. Mostly, everything costs $1.29, but when you find a really good 99¢ store - all bets are off. You might find that special Bok Choy Lamp you were looking for. $29.99? Here you go. A giant lighter at $1.99 is totally reasonable. And 6 multi-colored tiger-print padded bras for $20.99 is a tremendously good deal. Anyhow, the next 10 or so posts are about a production mission that spanned almost every 99¢ Store along the 7 train in Queens - from Queensborough Plaza all the way to Junction Blvd. Next time: MAIN STREET, FLUSHING. 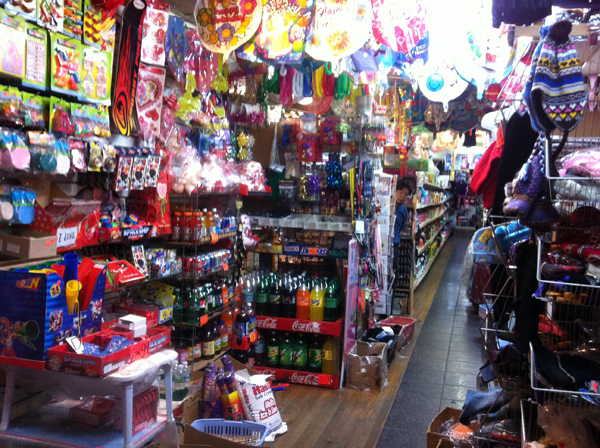 Inside Jing's 99¢ Paradise - Can You Find Mr. Jing?